Want to improve your Facebook retargeting campaigns? 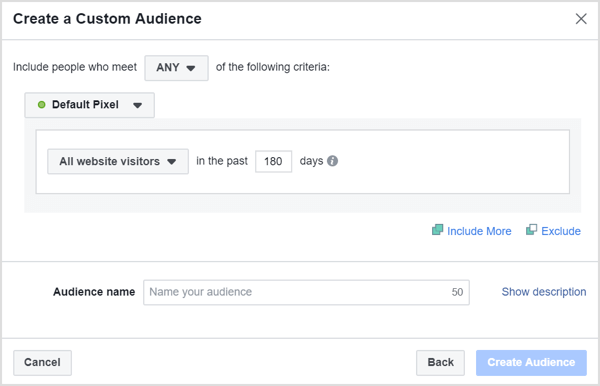 Wondering how to build a Facebook ad funnel that saves you time and effort? 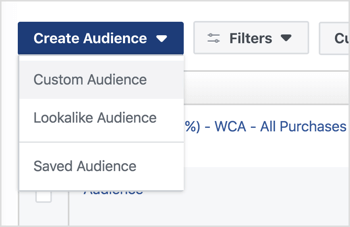 In this article, you’ll discover how to build a Facebook ad funnel that retargets users with multiple ads over a substantial time period. Most businesses have relatively small warm audiences. Unless you work for a large brand, you’re unlikely to have hundreds of thousands of email subscribers or millions of website visitors to retarget, so you’ll burn through your warm audiences much faster than larger cold audiences. This can easily cause Facebook ad fatigue issues, which inevitably lead to a drop-off in results. Using small daily budgets while retargeting warm audiences can help prevent ad fatigue because it ensures your prospects aren’t served your ads too often. However, this tactic rarely delivers the highest return on ad spend (ROAS). Your warm audiences are your hyper-responsive prospects. You want to spend a significant proportion of your ad budget on these people because they’ll respond best to your ads and are more likely to take your desired action. One of the best ways to avoid ad fatigue with these prospects is to create a number of different ads that simultaneously target the same warm audience. When you put each ad into its own ad set and use the Frequency Cap feature, you’ll ensure that people see each ad no more than once per week. 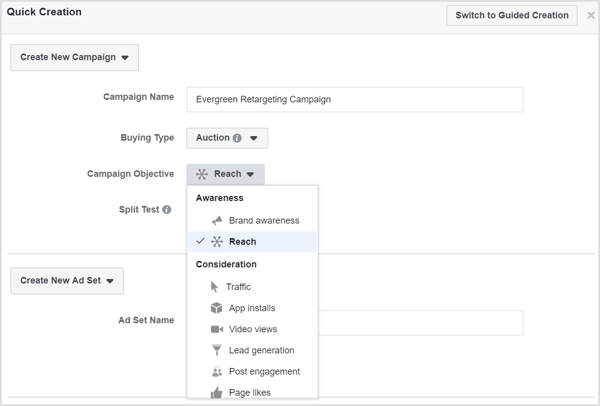 And if you create enough ads, this technique allows you to set up evergreen retargeting campaigns that can run for months without requiring any adjustments. 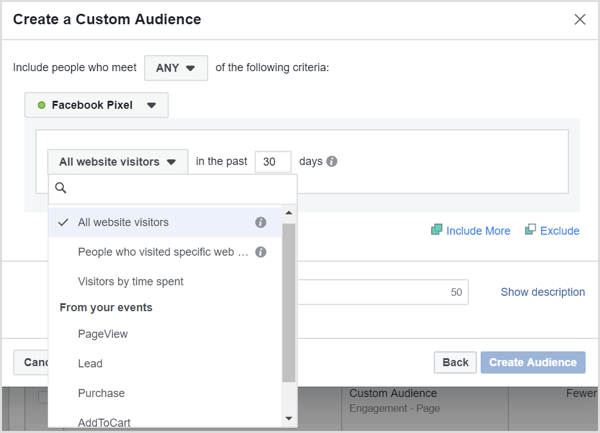 To create a website visitor custom audience, you need to have the Facebook pixel installed on your website. If you haven’t added it, here’s a step-by-step guide to installing the Facebook pixel. Now open Ads Manager and select Audiences under Assets. Then click Create Audience and select Custom Audience from the drop-down menu. In the window that opens, select Website Traffic. Next, you see the audience creation window. 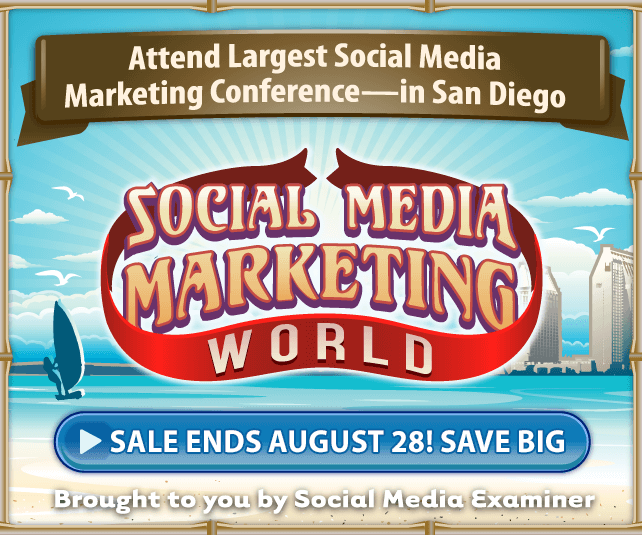 Facebook gives you a lot of flexibility when retargeting website visitors. If you click the All Website Visitors drop-down menu, you reveal options to target people who visit specific pages, spend a lot of time on your site, or have met event criteria. To keep things simple for this article, target all website visitors in the past 180 days, as shown below. This will give you the largest website custom audience. Next, type in a name for your custom audience and click Create Audience. 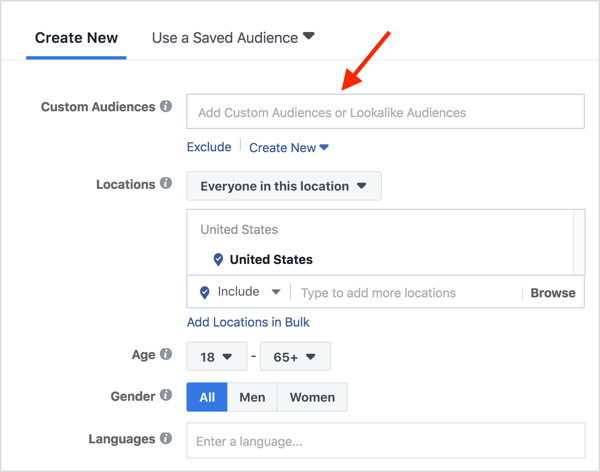 Facebook will ask if you want to create an ad to target your new custom audience or expand it by creating a lookalike audience. Ignore those messages for now and move on to step #2. 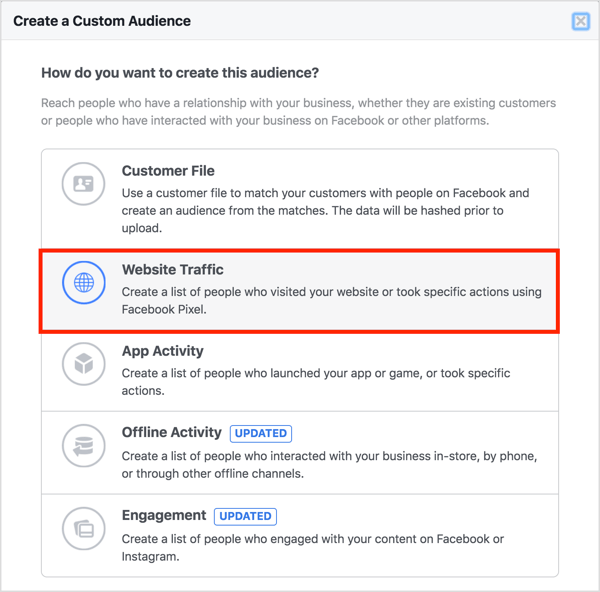 Now that you’ve created your website custom audience, it’s time to set up the Facebook campaign that will target these users. Open Ads Manager and click Create Campaign. In the Quick Creation window, give your new campaign a name and select the Reach campaign objective. 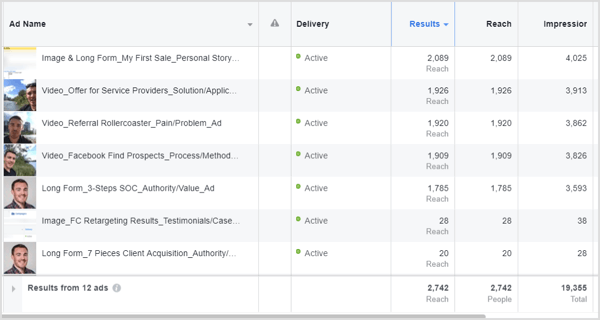 The Reach objective allows you to use the frequency capping feature, which prevents your ads from being shown to your prospects too often in a short time period. Finally, type in placeholder names for your first ad set and ad, and click Save to Draftin the bottom-right corner. Now you need to set up your new ad set so it targets your website visitor custom audience. To do this, navigate to the ad set within your new campaign and scroll down to the Audience section. In the Custom Audiences field, type in the name of your website visitor custom audience. I recommend that you leave the rest of your targeting options open, as shown above. There’s no need to add further targeting criteria because you’re only advertising to people who have visited your website. Including other targeting criteria will reduce the size of your target audience, which you don’t want to do. 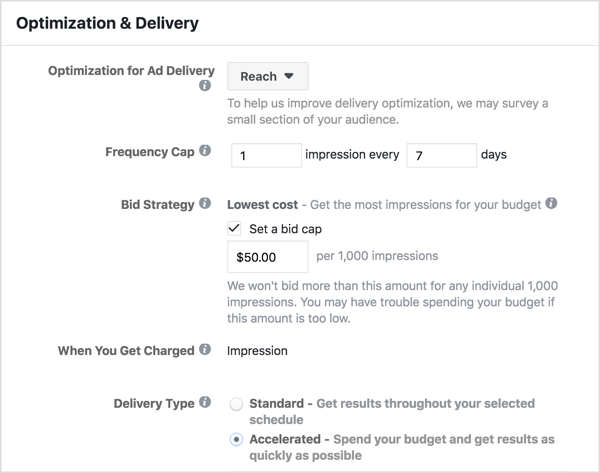 To set a frequency cap, stay within your ad set and scroll down to the Optimization & Delivery section. First, make sure that Optimization for Ad Delivery is set to Reach. Then choose the maximum number of ad impressions you want each prospect to have over a certain time period. One impression every 7 days is a good place to start if you’re going to create at least 14 different ads. That way, each prospect can be served a different ad from your business twice per day on a rolling weekly basis. However, if you’re only planning to start with 10 ads, you may want to increase the frequency to 1 impression every 5 days. To make this campaign evergreen, you need to take steps to avoid ad fatigue. 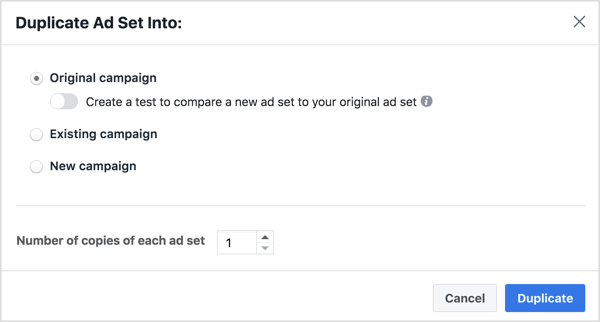 The best way to do this, while getting the most out of your Facebook retargeting campaigns, is to create many different ads that are distinct from one another. Slight variations in copy won’t prevent ad fatigue. For service businesses, you might create short videos that deliver value to your target market and end with a call to action. Product-based and ecommerce companies, on the other hand, could create a number of different ads that advertise different products. Where possible, use multiple ad formats as well. Mix up video ads with image ads, carousel ads, and even simple text ads. The more ads you create, the longer you’ll be able to run this campaign to the same audience. And if you create enough ads, this retargeting campaign can run for a substantial amount of time without requiring you to make any adjustments. It’s important that you don’t put all of your ads into one ad set. Each ad needs its own ad set, or your prospects will only see one ad every 7 days. By creating a separate ad set for each ad, you can advertise to your target market multiple times per day, but each ad will only be shown once per week. Duplicating an ad set is easy. Simply select the checkbox next to your ad set and clickDuplicate. 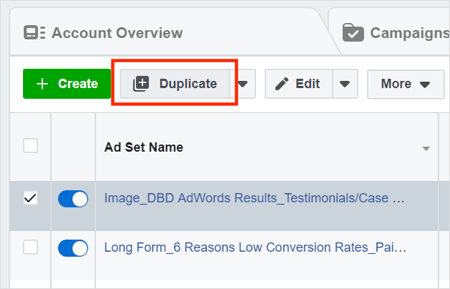 You can duplicate ad sets into the original campaign or a different one, and you can create multiple duplicates at once. For this tactic, duplicate the ad set into the original ad campaign and create a duplicate for each ad. This final step is an optional advanced technique you can use if you’re retargeting small custom audiences. 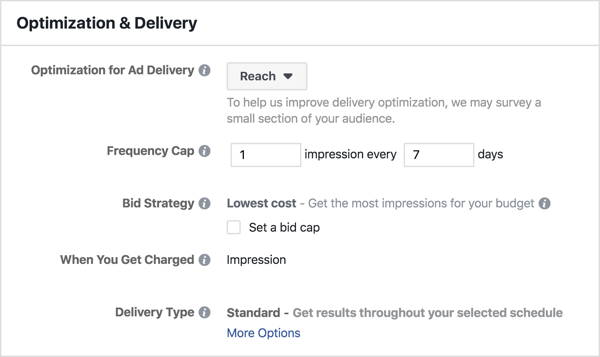 When you select the Reach campaign objective, Facebook will put your ads in front of as many people as possible for the lowest cost. This might mean that only a small percentage of your custom audience will actually see your ads. To counter this problem, use the Accelerated Delivery feature. You’ll pay a lot more per 1,000 impressions, but a larger percentage of your custom audience will see your ads. To use accelerated delivery, navigate to one of your ad sets and scroll down to the Optimization & Delivery section. 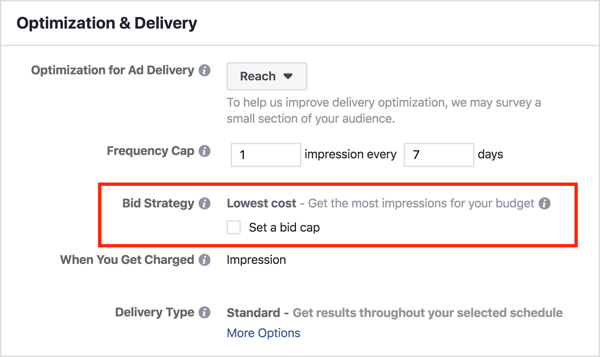 Facebook won’t let you use accelerated delivery unless you set a bid cap first. You need to use a rather large bid cap to ensure that a high percentage of your custom audience will see your ads. I recommend that you set a bid cap at 4-5 times what your regular warm audience CPMs (cost per 1,000 impressions) are. It’s important to note that this amount will be much higher than Facebook will recommend. For instance, suppose when you retarget your email list using standard delivery, your CPM is usually around $10. In this case, you could set a bid cap of $50 when using accelerated delivery. Under Bid Strategy, select the Set a Bid Cap checkbox and enter your amount. Then click More Options at the bottom of the window and select Accelerated Delivery. 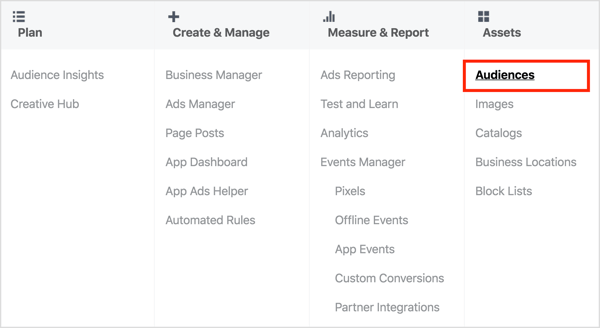 Click here to learn how to recognize the signs of Facebook ad fatigue and adjust existing Facebook ads for better performance. What do you think? What’s your experience with Facebook retargeting campaigns and ad fatigue? Have you used the frequency capping feature before? Please share your thoughts in the comments below.